You’ll be amazed at the simplicity, efficiency, and savings of a Cozy Heater? Most Energy Efficient Space Heater! The Cozy Heater? is a space heater for people who want additional heat without the nuisance and danger associated with conventional space heaters. 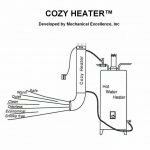 It draws heat out of your present water heater and provides a continuous 90-100 degree cozy breeze to warm your home, garage, or basement. It eliminates noise, dangerous open flames, noxious fumes, smoke, soot, frequent thermostat adjustments, or the need to handle flammable liquids, and it’s extremely cost-effective. 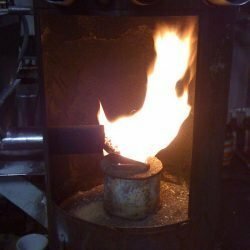 With an average build time of fewer than eight hours, it’s an easy way to heat without the hassle! We’ve been selling the Cozy Heater? and Cozy Heater Plans? 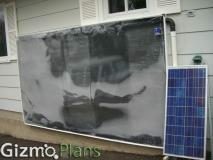 for over 20 years, and homeowners in all fifty states are enjoying the benefits of the system. * Safe. The Cozy Heater? increases warmth without the danger of fire. It can’t spill, tip or get knocked over. * Economical. The Cozy Heater? uses existing heat that’s already paid for. * Versatile. The Cozy Heater? 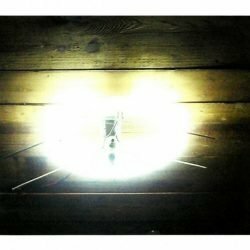 works well with either electric or gas water heaters. ?? proper operation and it never has to be refueled. There are no moving parts except for a small blower fan. The Cozy Heater Plans? have been designed with you in mind. 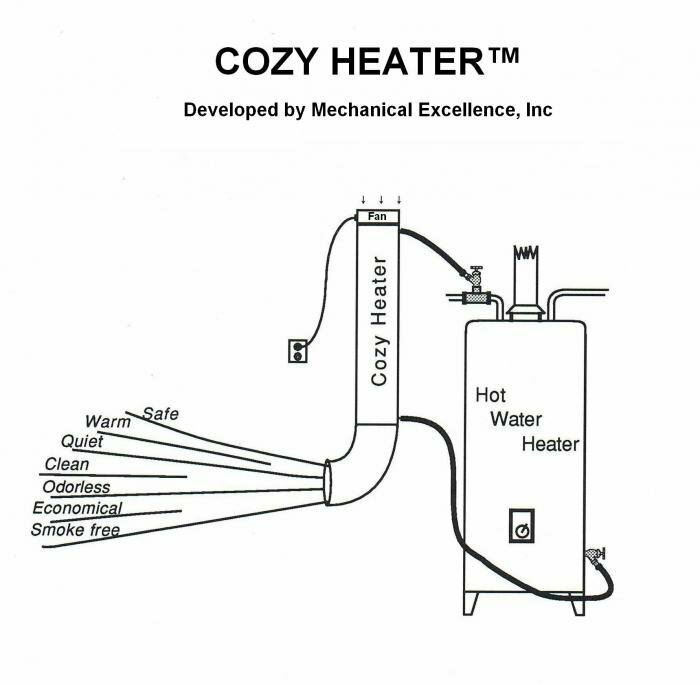 Beginning with a general overview of the Cozy Heater? and a checklist of parts and supplies, the Cozy Heater Plans? provide fully illustrated, step-by-step assembly instructions. Just a few hand tools are needed, and all the parts should be easily obtained through your local hardware, plumbing, and electronic stores. Also included in the plans are helpful tips and suggestions that people have sent to us over the years. It’s a simple way to put together what many have described as the most efficient space heater they’ve ever used. One Montana rancher liked the Cozy Heater? so much that he bought a second water heater so he could install two Cozy Heaters?, which he uses to heat his entire basement. So what’s really inside the Cozy Heater?? 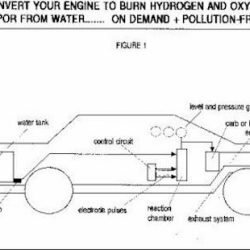 It is a water-to-air heat exchanger–similar to a car radiator–that is very efficient, yet simple enough to make by hand. How can the water circulate without a water pump? Technically speaking, it works on the scientific principle of a thermo-siphon. This arrangement, also called a gravity hot water system, uses the changing weight of water as a means of circulation. 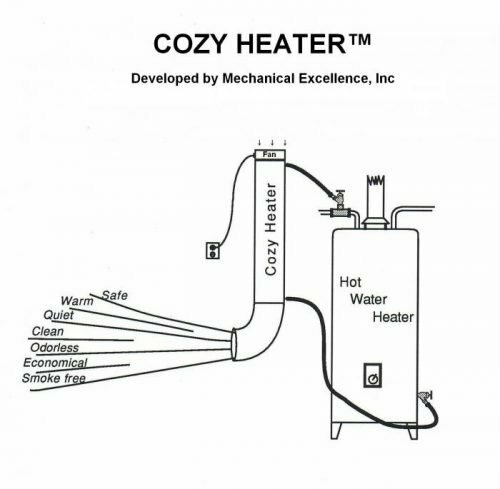 Because hot water is lighter, it rises up out of the water heater and into the Cozy Heater?. As the Cozy Heater? transfers the heat into the air that warms your room, the water cools and circulates back down into the heater. This proven scientific principle has been the basis for pump-less heating systems in homes for years. What if it looks a little too difficult a project for me to tackle? Over the years people have commented that building the Cozy Heater? is incredibly simple. However, our customers come to us with varying skills. For those that want the simplest installation process, we now manufacture and sell the heat exchanger separately as detailed in the plan booklet.